Once upon a time, Cindy was going to her locker,but there was always the school bullies to bother somebody. Cindy always wondered how they became bullies anyway. She went to her locker and open the lock and Charles, the school bullie, came and closed the locker right when Cindy put her hand in her locker to get her books. "Owwwwwwwwwwwwwwwww!" Cindy screamed in agany. "Sorry, Ms. Nice Alot. You should know where you put your hands." Charles said. "Ohhhhh.... Ahhhh! I can't do it." "Why, are you a little chicken?" Cindy walked away with at least her braveness and took along the books. "Dinnnnnnnnnnnnnnnnng!" The bell rang and she was inside her class.
" Alright, kids!" the teacher said. "Now we're going to be learning about fairy tales." She kept talking and talking not even noticing how many people was asleep, but I wasn't, so I just walked out of the door when the teacher weren't looking. "Hey, sleepy-mick-sleepy pants! What are you doing outside the lobby?" Cindy knew the voice. It was the class bully, Cot. She really hated him.
" I'm just going to the bathroom." Cindy said. "Really, man? I'm a man and I don't have to go pea every second." " I'm going to see you later for good." She walked out of that trap. She went to the bathroom actually. She never knew Cot can be right. When she was done, she went back to her class, read a book, and waited for the bell to ring. A few hours later," Dinnnnnnnnnnnnnnnng!" School ended. She went home and thought tommorow might be better. But she was way wrong. For the next few weeks she had to live tortue, annoyment, and other things you do not want to know. Until Spring break came, which was magical because she had lots of time away from bullies. On the last day, she went to the park and sat down at the bench, which felt nice. Then, the real magical thing came. I knew the spring ball was in Monday, which is right after Spring break, a woman came sitting right next to me. "Well how are you doing?" the woman said.
" Great, I'm doing fine." Cindy said. "I know you're lying because I've seen you're life. Poor girl. Do you have a school ball?" " Ummmmm....." Cindy didn't know how she knew all that." Yes, the school ball." "Well, you need a dress. See me in an hour right in this bench." "Well, Ok! But what I'm wondering is who are you?" " I'm Nelly, I was treated very poorly in my life. So I fix others." And so they went. She read a book for an hour in the bench. It was a peace park. And the woman came back with a dress.
" Look what I made for you." the woman, Nelly, said. "Wow, oh my gosh. You went all through this hour to make this dress for me." Cindy said feeling the soft silk fabric made for the dress. "Well, it took time. My motto is to help people and you're life was kind of sad. So here you go." "Be happy in the ball tonight." Nelly said and walked away. When the ball came, Cindy was really happy. She walked around with no date that was the sad part. Then, Charles the best boy in the school asked me out.
" Really, you want to go out with me?" " Yes, you really look beautiful tonight." "Well thank you, it took me a long time to get it this way." They danced for a few hours. It was a nice moment. Everything was good. Then, she rememebered something. She had to go home because she had an assignment about fairy tales she hadn't finished it and it was due tommorow. "The Dance Queen and King for tonight is Charles and Cindy." the host said. "Wait, where is Cindy?" somebody said. "She's going home because an assignment." Charles said going on the stage. "Whaaaaaaaaaaaaaaaaaaaat? An assignment is not better than love." the other love birds said. Well, they continued on with the night. Charles explaining everything, the dance still going, and no queen or king of the ball. While back at the farm, Cindy was running along and her bracelet fell out of her hand which the woman, Nelly, gave. She didn't care about it and still kept running. She actaully had to go home because she had to the chores her mother was begging her to do and she was grounded for not doing it.She walked away from home and now she's going to do the chores. Charles went out of the ball and found a bracelet from Cindy hand he was looking at while he was dancing. He went back home and waited for tommorow because he wanted to get back with Cindy. Tommorow came, and Cindy came to school. Charles was at her locker. "You dropped your bracelet at the ball." He said. "Do you want to go to out on a date tonight?" " Well, yes! If you think we should." "See you Saturday at 8:00." And then they went going through school the rest of the week. While the last day happened, Charles went Jamie, the beautifulist girl in school. "HI, Jamie. I'm just wondering if you can go on a date Saturday at 6:00." "Wonderful, I'll just put it in my planner." Tommorow came and it was Saturday. First he went to Jamie and he was at Au Clur' De Lair, a famous going-out resturant. "Well, hello Charles nice to meet you here." "Ok, so let's go on with the date." "I just heard.............blah blah blah........[etc.]" They kept talking till it was 8:00 and 56 seconds. "Oh my gosh, I have to go." Charles said. "I just have to go, bye." Charles went to Cindy's home at 8:10. He was rushing. Cindy was standing madly at the door.
" Your late." she said.
" Well, I just had some busy stuff to do." "I had to deal with my mom for going to you." " You didn't say that your going on a date with me to your mother before you came here." "Well, don't ever do that again because we have only 48 minutes to have our date." "Because I hve to sleep right to get energy." "Well, who cares about time now. It's love." "You're welcome! I'd do anything..."
Jamie walked in the door. She was so mad a volcano couldn't be hotter than her. "What?! You took my boyfriend and you were about to kiss him." Jamie said. "I wasn't about to..." Cindy said.
" And we were just going on a date." "Me, too, but you took him." "No, I didn't he went to me." " And he went to me to." " Did you plan all this?" they both said it the same time questioning Charles. The dumped the evil prince and they went both ways. Jamie getting more boyfriends and Cindy finding one in the same time doing their regular routine and also both avoiding Charles. But whats better is his brother who's smarter, a little less popular, and hot. Cindy got that one and Jamie got a different person. I still don't know who is he. But he must be good for her. 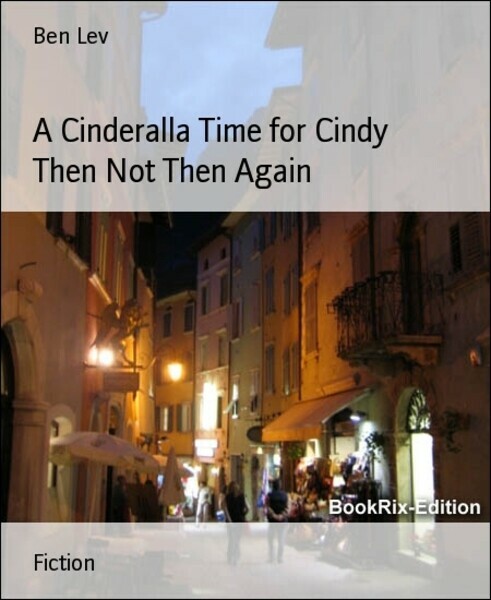 And that how it was for the rest of Cindy's life living happily ever after.